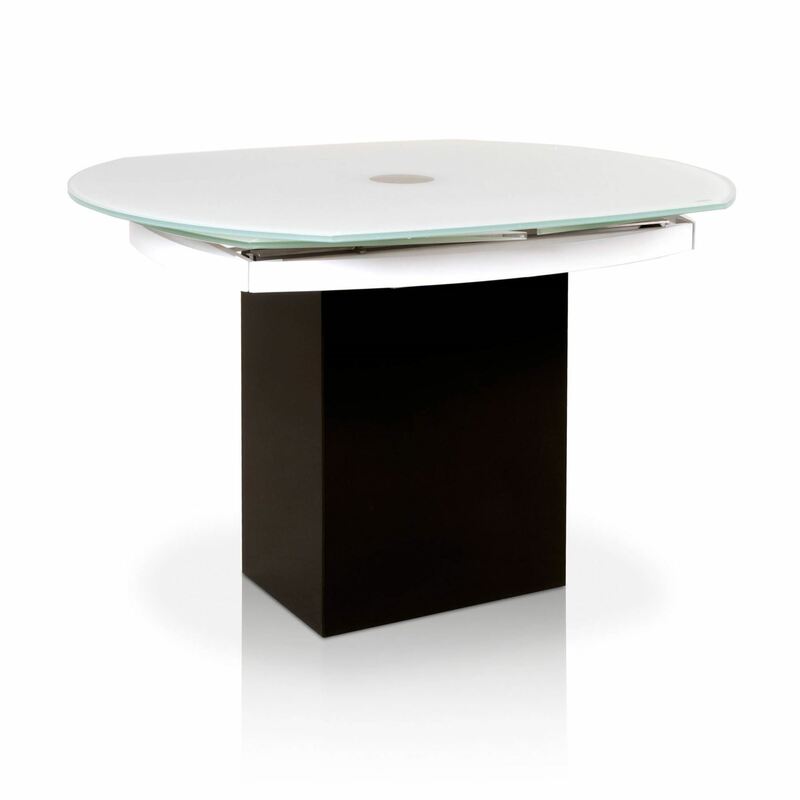 Era White Glass Extension Dining Table is a wonderful solution for needing an every day small table that can expand when needed. 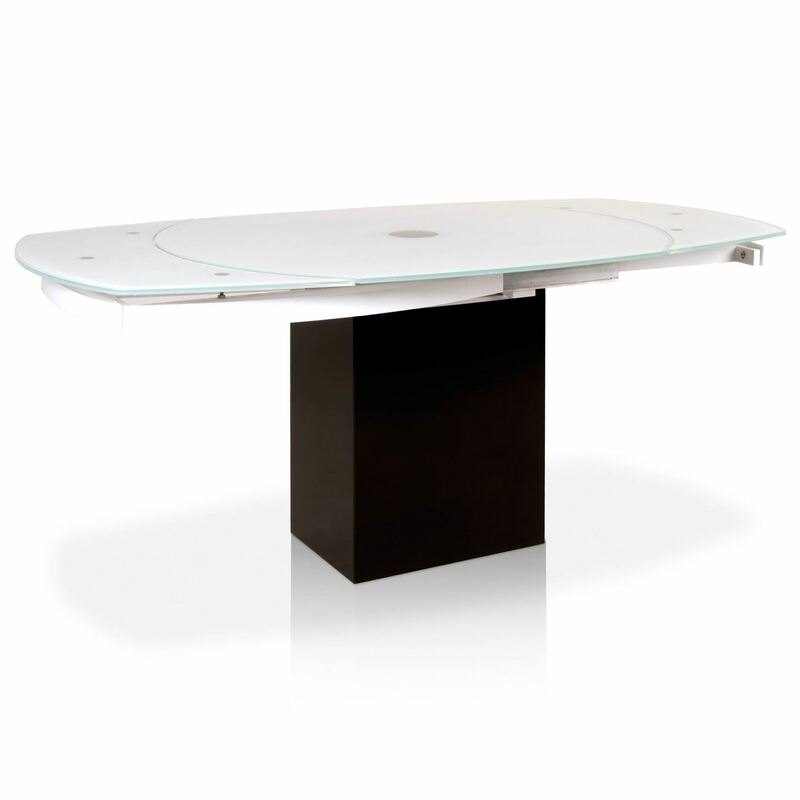 The tempered white glass top rotates on the center axis, and in doing so automatically extends and levels the extensions. Expands from 47.5" to 71" when fully opened. 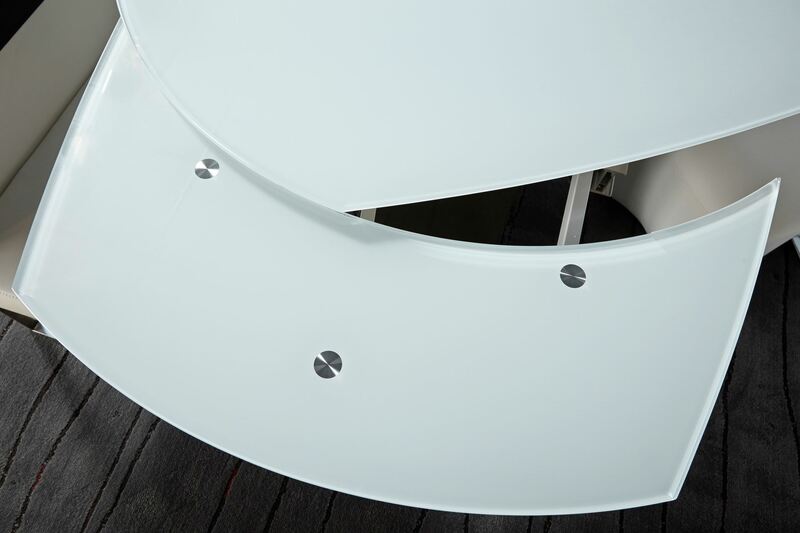 The top and synchronized mechanism are bolted to the black granite base. Made by Star International Furniture. Era Extension Dining Table is a wonderful solution for needing an every day small table that can expand when needed. 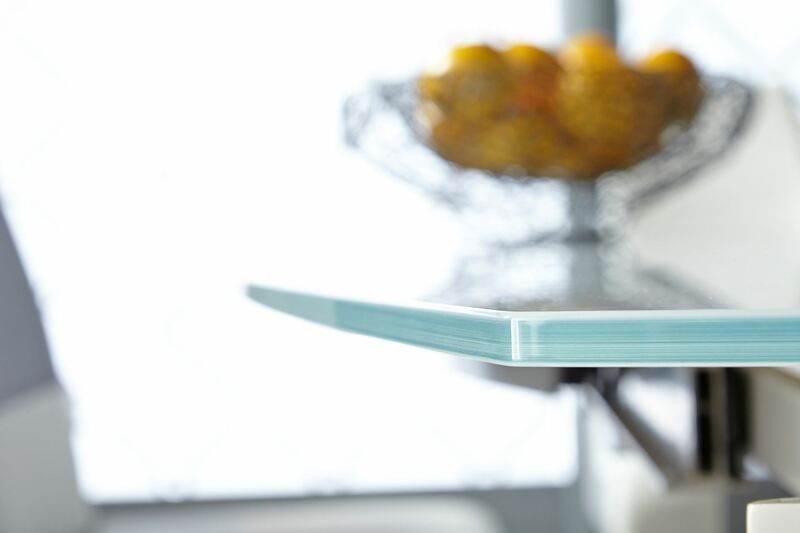 The matte gray tempered glass top rotates on the center axis, and in doing so automatically extends and levels the extensions. Expands from 47.5" to 71" when fully opened. 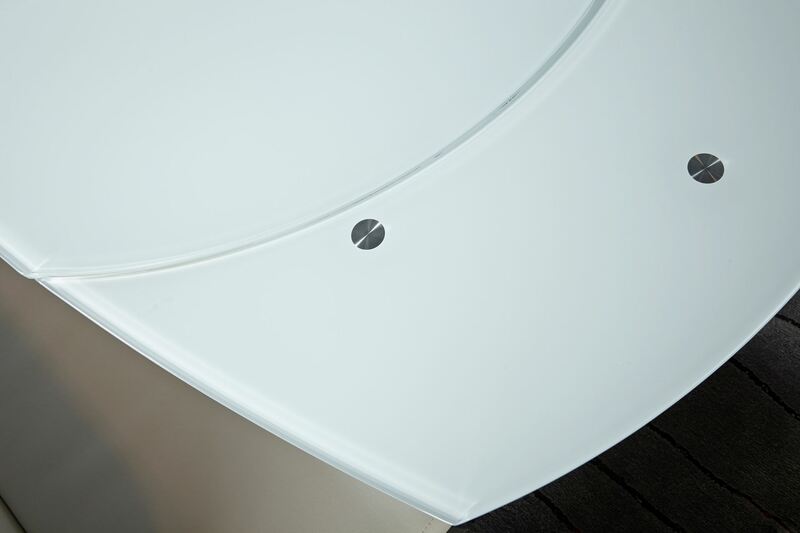 The top and synchronized mechanism are bolt to the white marble base. Made by Star International Furniture. 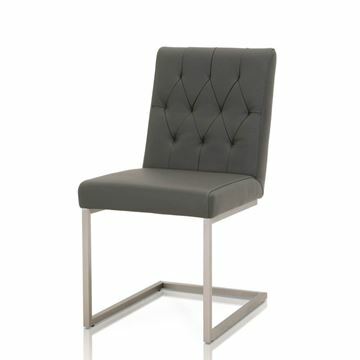 The Clark Dining Chair is crafted in 100% genuine top grain leather. The color is a deep peppercorn color, and is wonderfully supple to the touch. Tufting and a diamond stitch pattern detail the inside back rest. 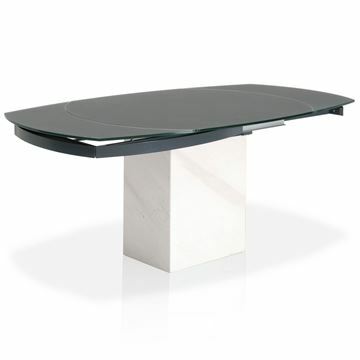 The base is crafted in brushed stainless steel. 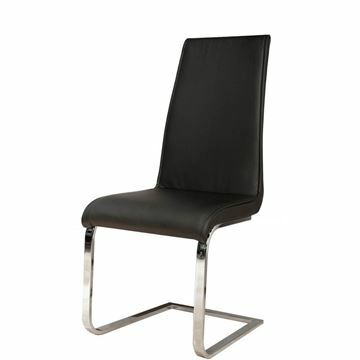 This dining chair is a very comfortable design, and the leather is very user friendly and easy to clean. 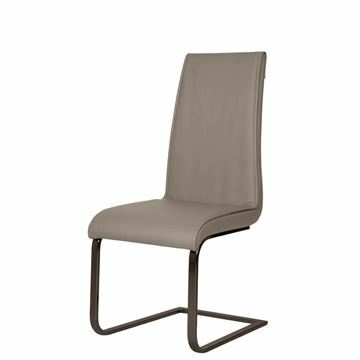 Suitable for any dining room and from casual to every day use. 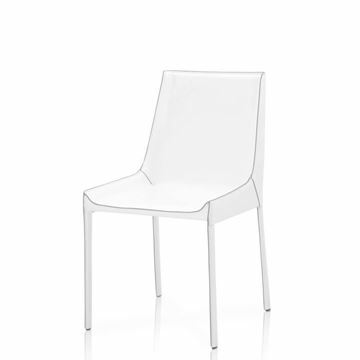 The Bo Arm Chair by Star International Furniture. A straightforward design, finding beauty in the well defined symmetry of the arms and overall look. Crafted in black eco-leather and polished chrome legs. The back rest is ever so slightly slanted and finished with an ergonomic curved shape to allow wonderfully comfortable seating comfort. Also a great design for conference rooms or lobbies thanks to the side of the chair being tailored with a discrete pocket, perfect for holding small magazines or paper packets. 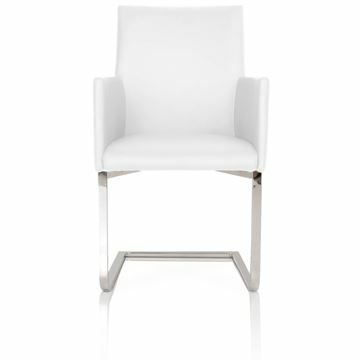 The Bo Arm Chair by Star International Furniture. A straightforward design, finding beauty in the well defined symmetry of the arms and overall look. 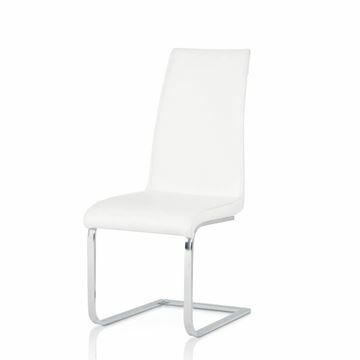 Crafted in white eco-leather and polished chrome legs. The back rest is ever so slightly slanted and finished with an ergonomic curved shape to allow wonderfully comfortable seating comfort. Also a great design for conference rooms or lobbies thanks to the side of the chair being tailored with a discrete pocket, perfect for holding small magazines or paper packets.